Sherry’s original training was as a family/relationships therapist, body worker and group facilitator. For years, she wondered if she would ever find a way to bring these different skills and modalities together. In 1988, in Sydney, Sherry met some Tibetan Buddhist teachers and Process Oriented Psychology through Dr Max Schupbach and Dr Arny Mindell. She didn’t know it then, but her life was about to dramatically change. These seemingly ‘chance’ meetings led Sherry to travel to many countries, including the high Himalayas and to the windswept coast of Yachats and Portland Oregon USA. Process Oriented Psychology has led me to continue to learn and embody and share as a therapist, my deepest beliefs since childhood, of living fluidly from moment to moment with awareness, openness, transparency, inspiration and compassion and deeply believing, trusting and following all of who we really are. Presently, Sherry is passionate about, in herself and with others, following and deepening awareness and dreaming processes, becoming less stuck and more fluid in emotional and mental ‘states’ and discovering the essence of everything! Sherry has been actively involved in Tibetan Buddhism for since 1988 years and has helped and worked for His Holiness, The Dalai Lama since 1996. She is also a writer and published author on Tibetan Buddhism, including the book A Search for Meaning. 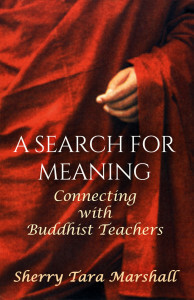 Connecting with Buddhist Teachers, available on Kindle Amazon, iTunes, and Smashwords. Sherry is the Director of Sydney Process Counselling. She is an experienced and registered Mental Health Social Worker, a qualified Process Oriented Therapist and is a group facilitator and clinical supervisor. 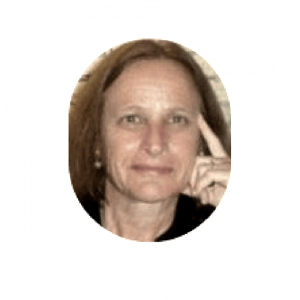 She has worked in England and Australia for over 30 years and was the Director of the Staff Counselling Department at Royal North Shore Hospital, Sydney for seven years, a consultant for an Employee Assistance Program and has maintained a private practice in Sydney and Manly for 20 years. She has supervised and facilitated groups including the Motor Neurone Association, an addictions hospital, corporate organisations and non-profit associations. I love Process Work, because it really does work and allows us to deeply understand and follow who we truly are and gives us skills to relate to ourselves, others and life. © 2019 ANZPOP. All rights reserved.